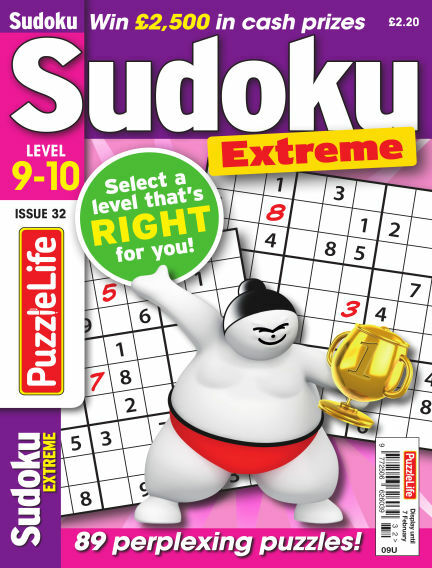 In this issue of PuzzleLife Sudoku Extreme 9-10 : Our mini sudoku magazines let you choose the level that's right for you – and PuzzleLife Sudoku Extreme 9-10 is top of the range, containing just about the hardest sudoku puzzles you'll find, so it's for experts only! There's also £2,500 up for grabs in every issue. With Readly you can read PuzzleLife Sudoku Extreme 9-10 (issue Issue 032) and thousands of other magazines on your tablet and smartphone. Get access to all with just one subscription. New releases and back issues – all included.